The Little Red School House - Attractions | Visit Butler County Pennsylvania! 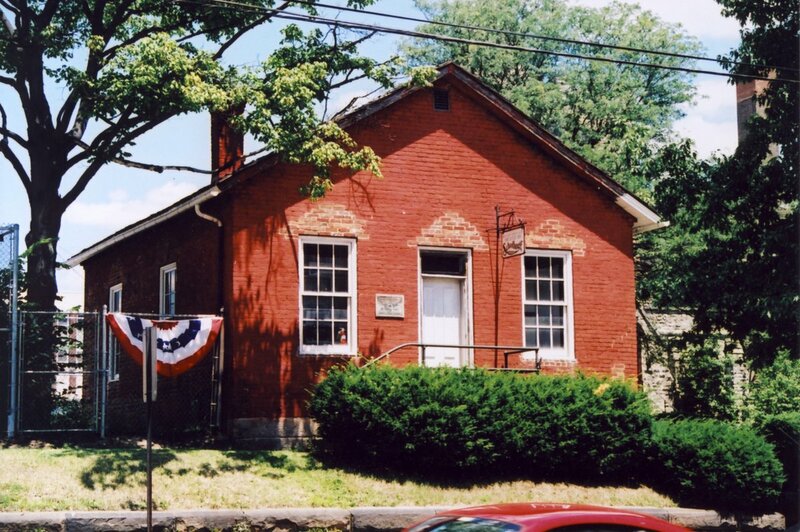 The Little Red School House was constructed in 1838, and was the first public school built in Butler as a direct result of the Public School Act of 1835. It was used as a classroom until 1874, when a larger facility, the Jefferson Street School, was built next door. The building was then used as an office, Butler’s public library, a meeting room, and a center for the Red Cross during World War II. In 1966, the Butler School District permitted the Society to use the building as a museum, and it continued in that use until 1991, when it closed due to structural deterioration. The school district deeded the building to the Society in 1993, and a restoration project began to return the building to its original one-room school condition. The site is now a living history museum, which recreates the one-room school experience for children and adults. The school house is located at 200 East Jefferson Street, in Butler, directly behind the current Butler Junior High School. Group tours are provided by special arrangement. Check our calendar for days the museum. The Little Red School House is brought to you by The Butler County Historical Society.